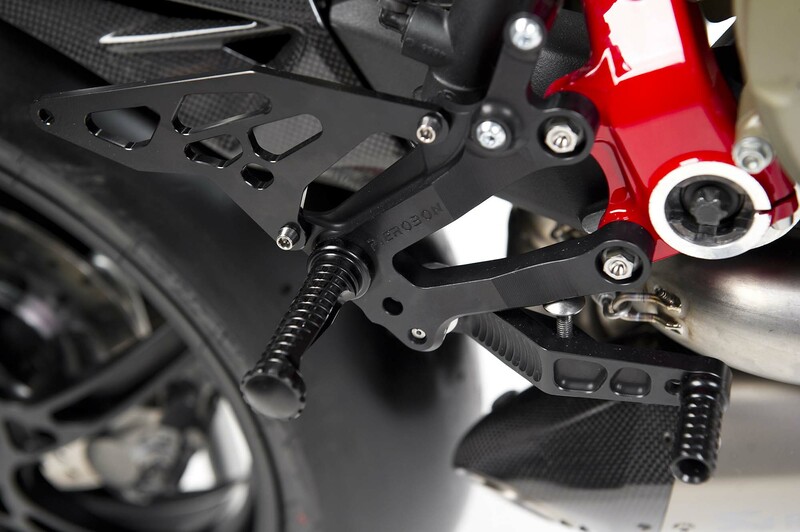 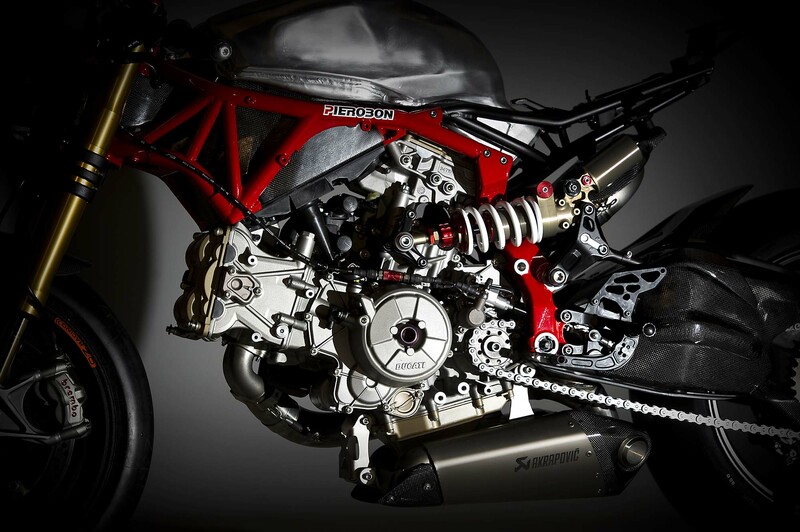 Do you remember the Pierobon frame kit for the Ducati 1199 Panigale that we showed you back in November? 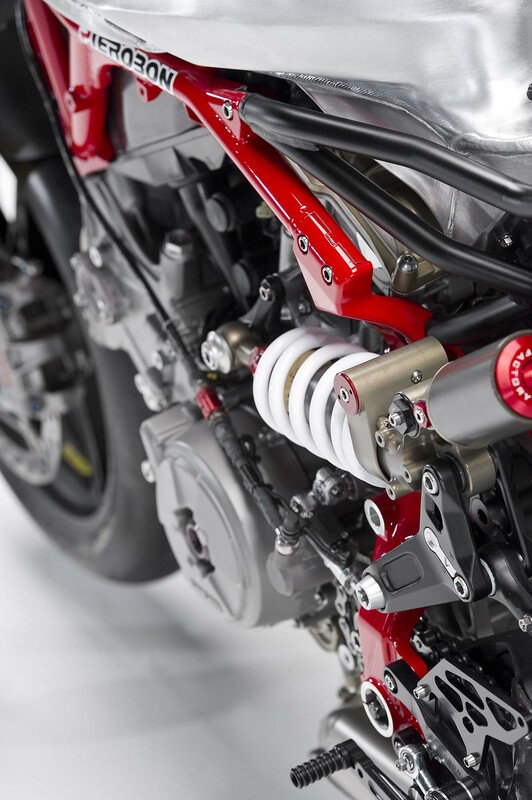 If you’re a loyal reader, you should — it was one of our most popular articles that month. 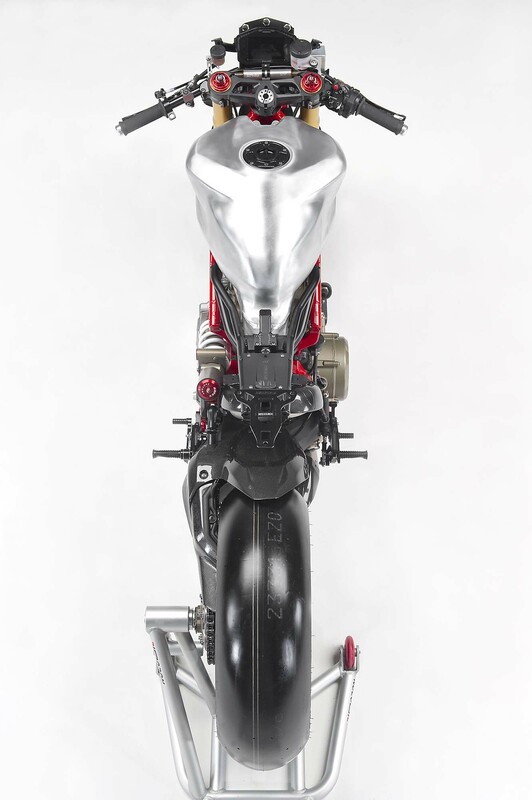 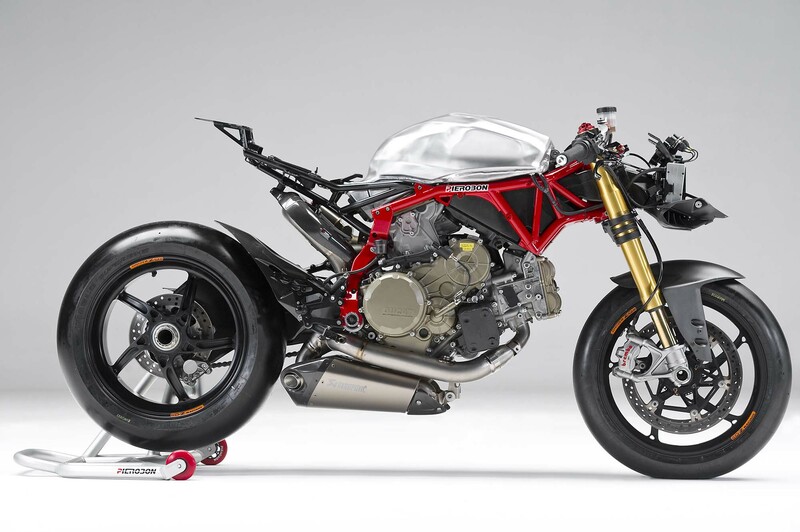 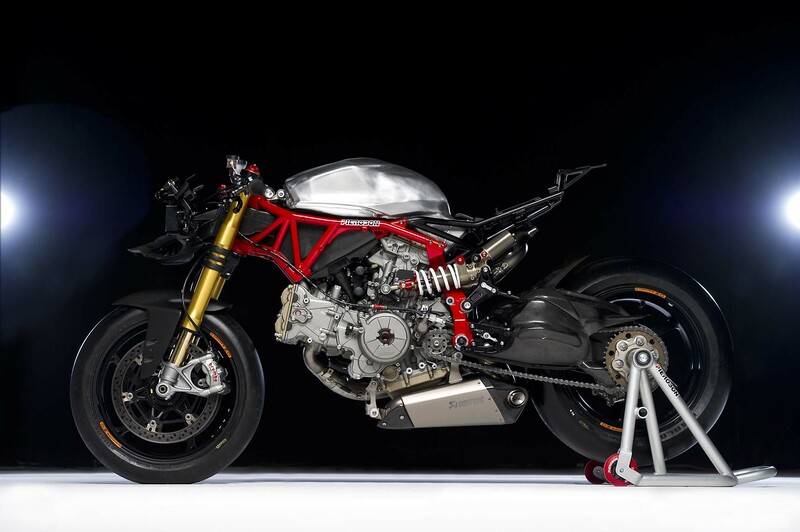 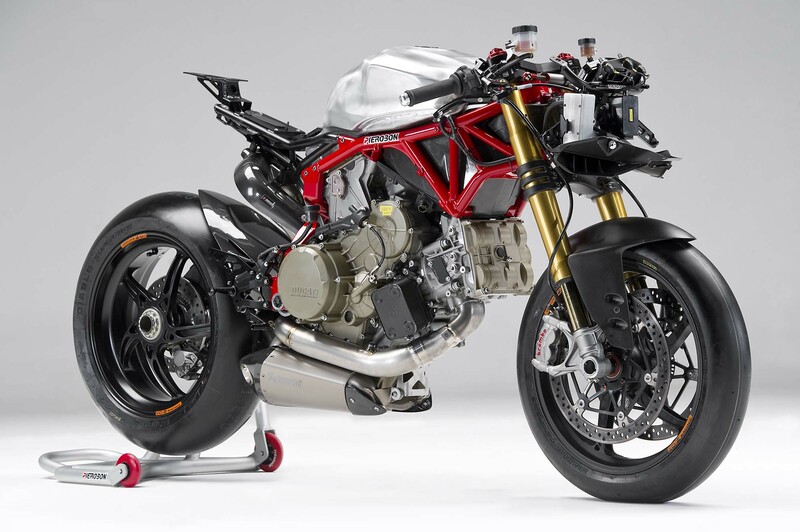 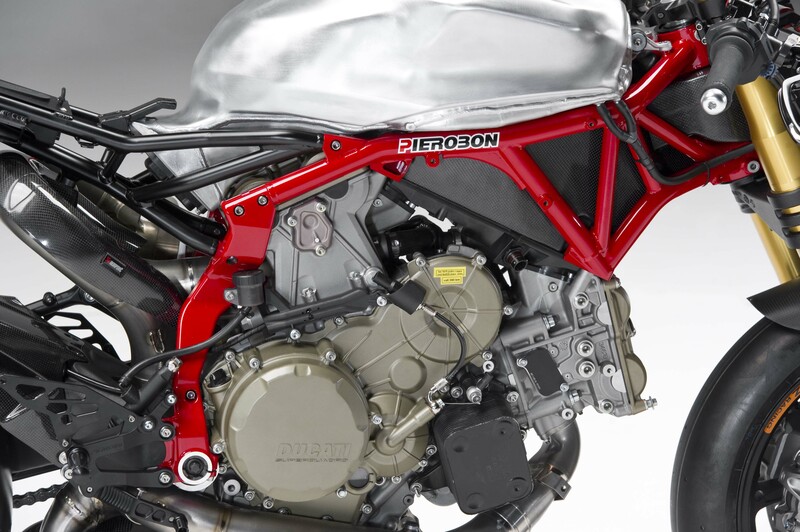 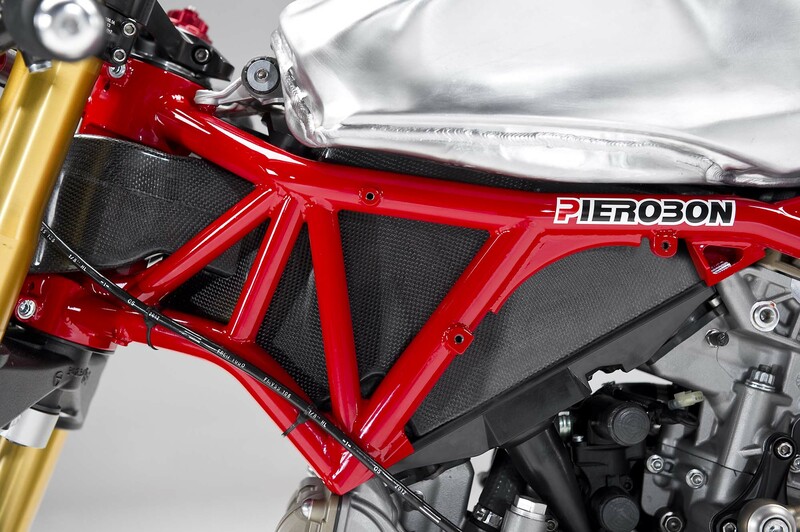 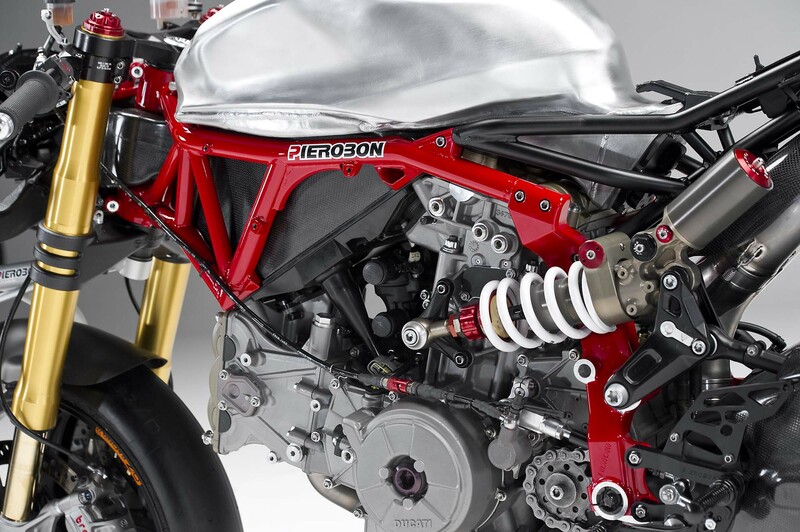 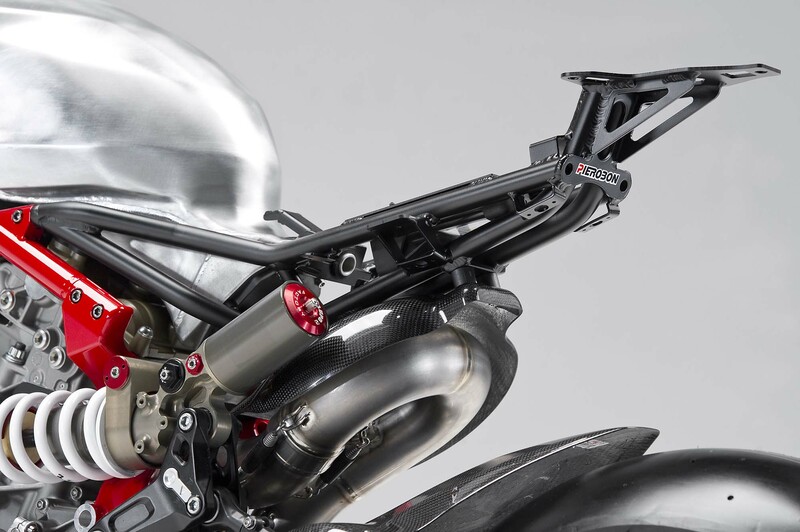 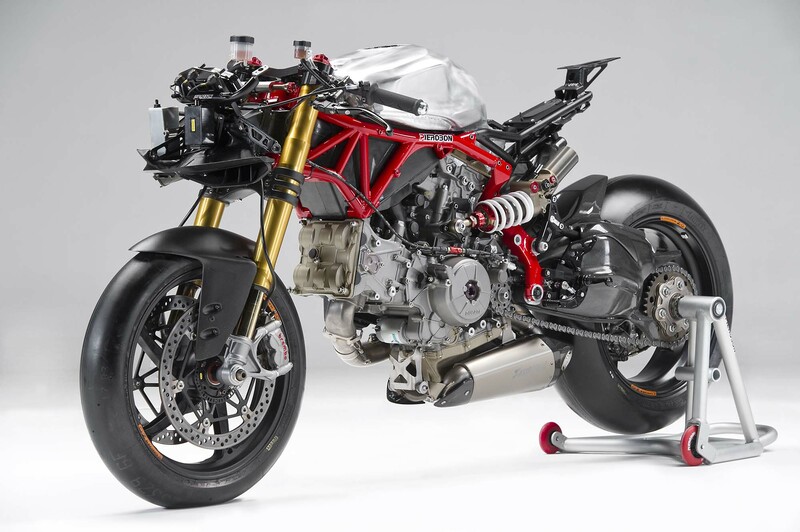 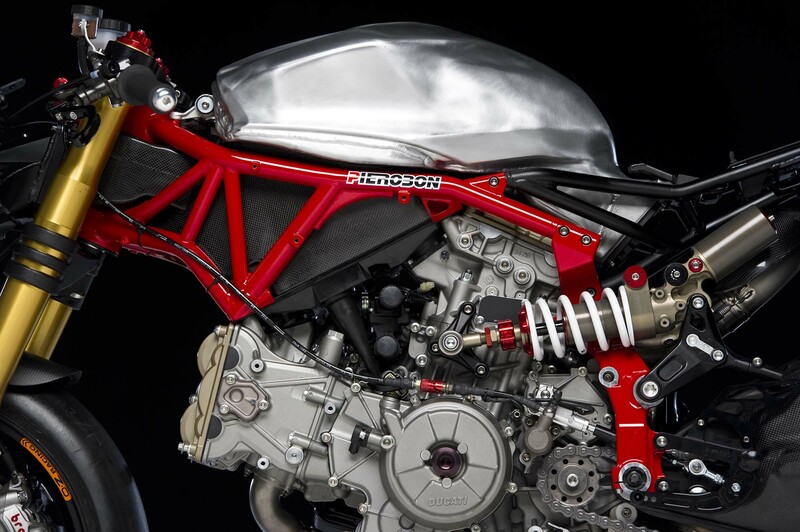 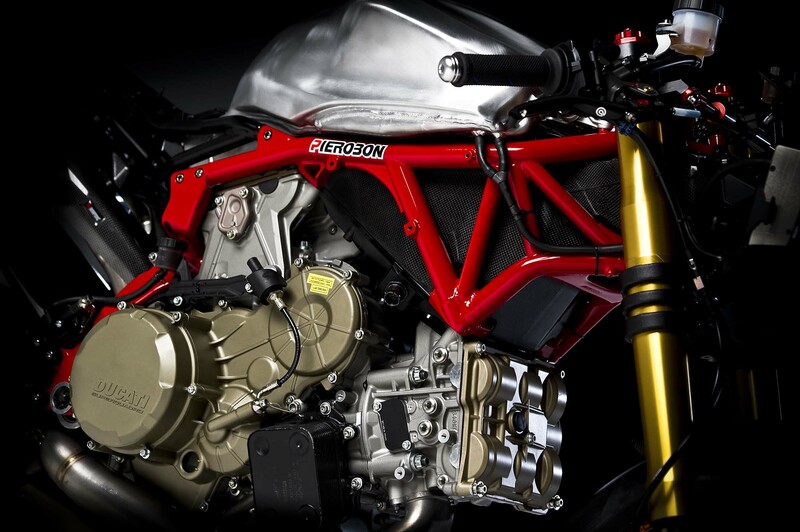 An answer for those who think that the Panigale’s “frameless” chassis is affected by the same woes as the MotoGP project, Pierobon’s steel-trellis frame replaces the load-bearing headtube/airbox design from Ducati. 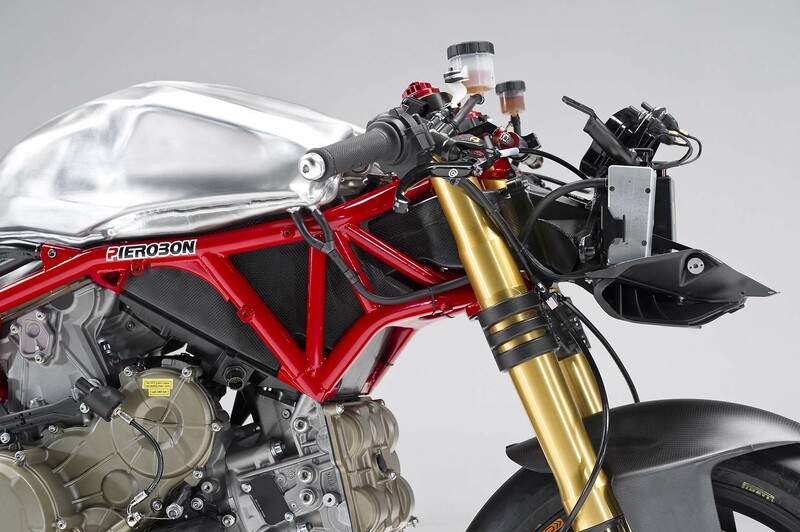 While we wait to hear back from the folks at Pieroban about how their creation goes around the race track, the clever Photoshoppers at Krax-Moto have takien the Italian fabricator’s photos, and used them to ink a very impressive streetfighter / café racer concept. 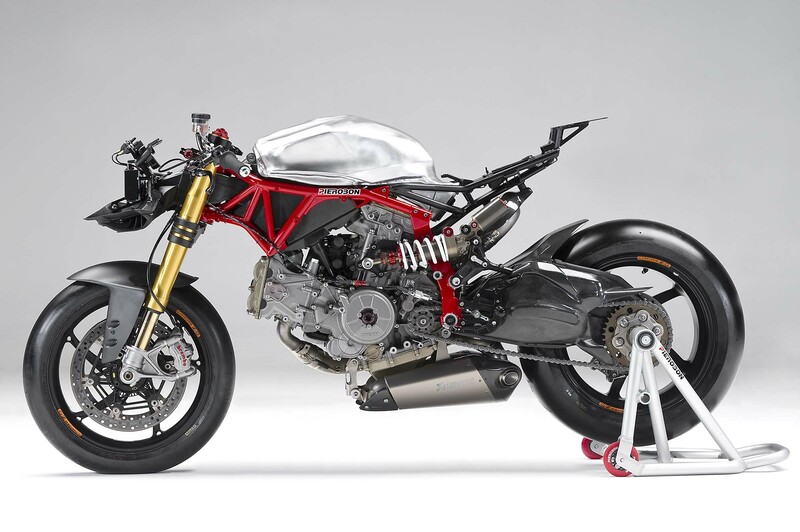 A little headlight here, and little leather seat there — it’s really surprising how little need to be tweaked to make the design work. 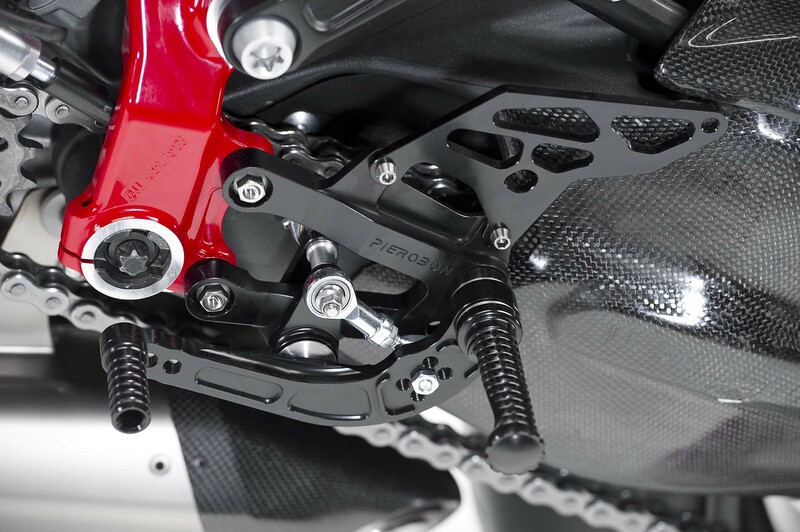 If the Pierobon folks are sharp, they’ll include Krax Moto’s changes in a kit for customers. 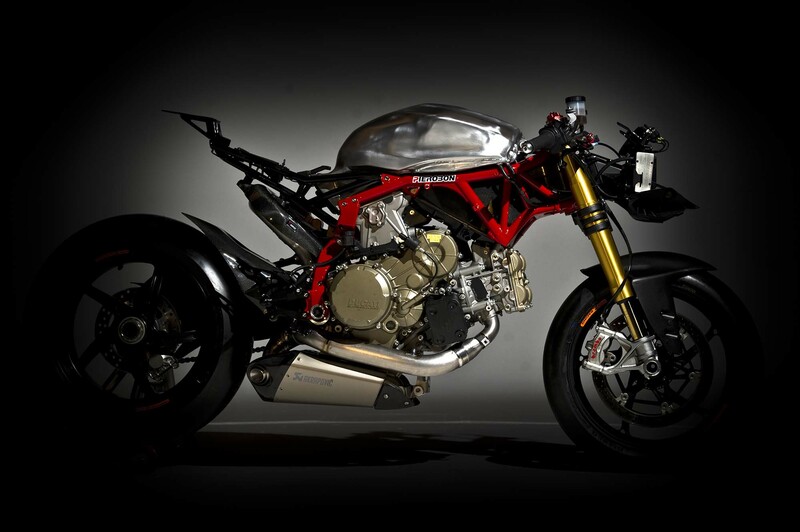 Would you take this over a Ducati Monster 1200 S? 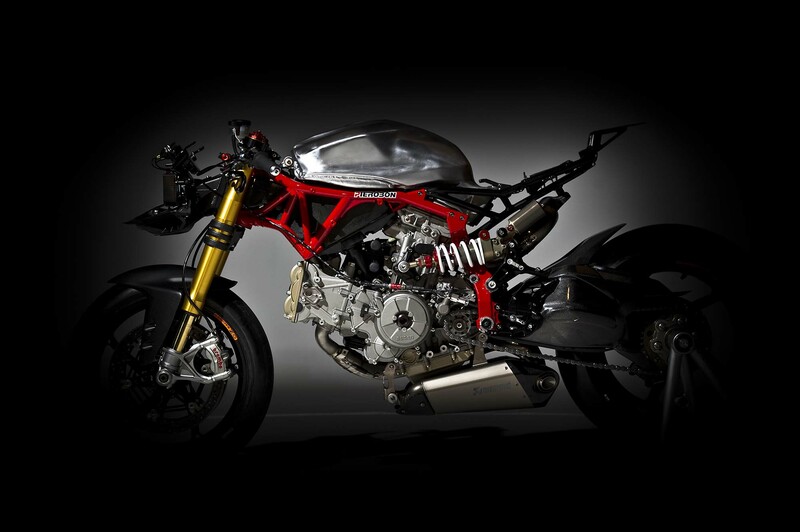 We would.